Every maker has a story. Be a part of Rustic Art Metals's story by placing an order, leaving a review, and seeing your review appear here. Measuring about 10' x 7 1/2" this piece features a Buck Deer glancing over his shoulder. 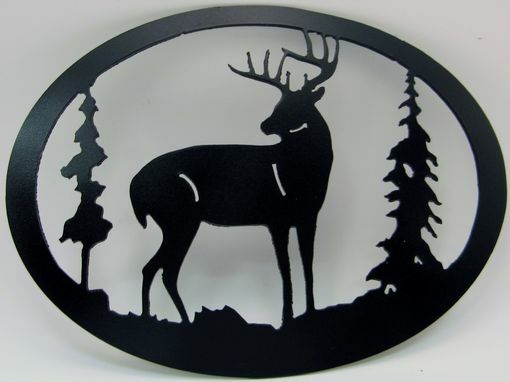 Cut from 16 gauge steel and painted a durable satin black.Great for grouping with our other oval wall hangings.